The WrinkleMD Eye System delivers Hyaluronic Acid and peptides deep into the layers of the skin. Our customers are always looking for devices that they can use at home and still get professional results. WrinkleMD Eye delivers. SkinStore.com, the nation’s leading e-commerce specialty retailer providing scientifically sound solutions for healing and maintaining healthy skin, has added WrinkleMD to its assortment of premium products. The WrinkleMD Eye System uses gentle micro-current to infuse Hyaluronic Acid and peptides deep into the layers of the skin. The easy-to-use system delivers hydrating peptides and the wrinkle filler used by dermatologists—Hyaluronic Acid— deeper than creams or serums can reach. 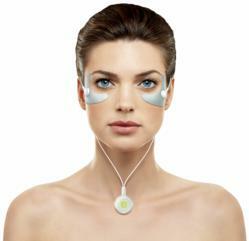 This ion-infusion system was created by a dermatologist to help tighten and firm the skin by building collagen. Users can expect to see immediate results as the sensitive skin around the eye area appears smoother and more firm, but they will also continue to see improvement with as little as one forty-minute treatment per week. Physician-founded in 1997, SkinStore carries over 200 premium brands of skin care, cosmetics, hair care, beauty tools and fragrances from around the world, including high quality products normally found only in luxury spas, fine department stores and dermatologist offices. Free shipping is applied to all U.S. orders over $49, and an esthetician-staffed call center is available Monday through Friday to answer customer questions. The company is headquartered in Gold River (Sacramento), California with enterprises in Sydney, Australia and affiliates in Seoul, Korea and Hangzhou, China. For more information visit SkinStore.com, SkincareStore.com.au, SkinStore.co.kr, or SkinStoreChina.com.